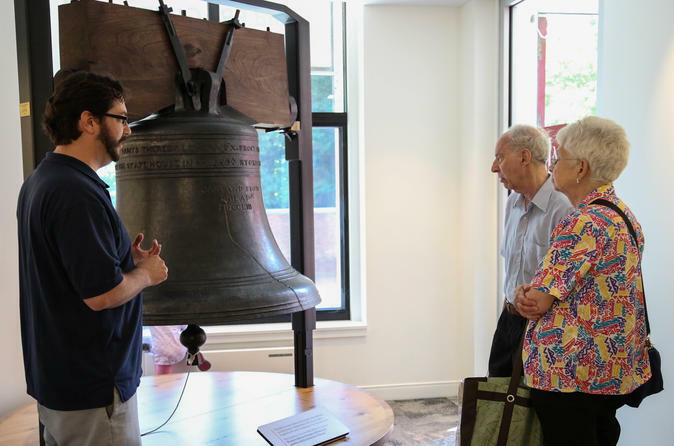 Located in the heart of historic Philadelphia, the National Liberty Museum is dedicated to preserving America’s heritage of freedom by encouraging people to find their own place in the story of liberty. Visitors to the Museum enjoy an inspiring and entertaining experience, as they interact with incredible stories of heroes and a collection of contemporary art. The museum is located just two blocks from the entrance to Independence Hall and the Liberty Bell. Once you walk through the front doors you will be in our state of the art Welcome to Liberty Gallery where there is an exact replica of the Liberty Bell made by the Whitechapel Bell Foundry in London. You can touch this Liberty Bell and ask one of our visitor service staff members to ring it for you. After seeing the Liberty Bell explore the rest of our Welcome to Liberty Gallery featuring our Museum Shop. Finally, watch our film in our immersive theater which captures the sights and sounds of liberty! Our remaining galleries feature Over 100 world-class GLASS SCULPTURES symbolizing the beauty and fragility of freedom. The Flame of Liberty by Dale Chihuly is at the center of the Heroes From Around the World Gallery. This gallery tells the stories of many Heroes who made great sacrifices to advance liberty. You will see Anne Frank's secret annex and Nelson Mandela's jail cell. You will also see two life size Jellybean Children by Sandy Skoglund.